Our Virginia Tobacco flavour is made to taste as close as possible to the best-selling hand-rolling tobacco. 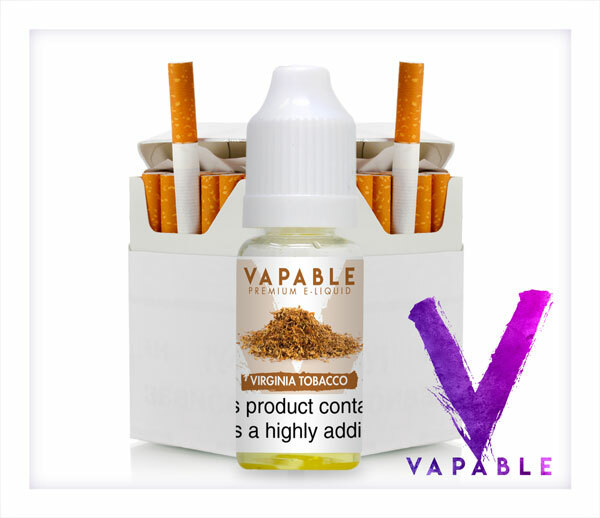 Our Virginia Tobacco E Liquid is made to taste as close as possible to the best-selling hand-rolling tobacco. This is our most popular flavour amongst new vapers who want to recreate the sensation of smoking roll-ups whilst cutting down or quitting. The flavour is fairly soft and subtle rather than overpowering, making it an ideal all day vape. The tobacco aroma is a convincing recreation of the taste of hand-rolled cigarettes and this e-liquid continues to be one of our most popular lines. 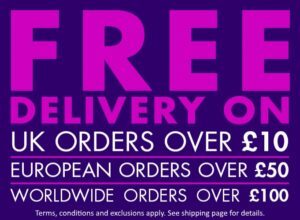 Top quality UK made e-liquid, at a 60VG/40PG ratio, giving the perfect balance between flavour and vapour production. If you like this flavour you may also like e-liquid from this range. Not for me, it's like smoking mild chilli powder! It's not bad, its not amazing! but its certainly worth trying and I most likely would order it again at some point. 5 stars for being ten miles from where I live. I have not tried the products yet, but the reviews look good. How about a thirty six milligram tobacco flavoured one for those of us who never really wanted to stop smoking and vape now because it's safer? absolute spoton diy flavours . impressed with sharp delivery and products .must try . Not for me, it’s like smoking mild chilli powder! It’s not bad, its not amazing! but its certainly worth trying and I most likely would order it again at some point. 5 stars for being ten miles from where I live. I have not tried the products yet, but the reviews look good. How about a thirty six milligram tobacco flavoured one for those of us who never really wanted to stop smoking and vape now because it’s safer? Feels just right after putting up with my emergency supply of cola !? I have definitely given up smoking after 35 years thanks to this juice. Having gone through the “I need tobacco” phase, I found that mixing it 50/50 with Vapable Red Bull flavour works well without detracting too far from either flavour. The only issue is you have stoipped selling the Red Bull! Apparently one of your suppliers stopped a particular ingredient. Just ordered 4 small bottles of various flavours to look for an alternative, although you did email me back to say your are working on a new Red Bull for release in the next few months… Huzzah! Very good value .great smoke.could you tell me does it contain diacetyl ! The best Virginia bled I’ve ever had and and great service as well. Having tried several other brands of so called “Virginia tobacco ” flavoured juices, desperately trying to find a substitute. This is by far the closest. A pleasant mild throat hit leaving a hint of vanilla tobacco on the nose during exhaling. So glad I didn’t give up trying to find anything to replace my 30 years of hand rolling. Will be using this from now on as my all day vape. Thankyou Vapeable for speedy delivery & expect a reorder very soon. I got 2 10ml bottles of the 18mg to try and I’m impressed. Although I’m not so sure it reminds me of hand rolling tabacco. I smoked the stuff for many years.I do like the flavour and throat hit and it satisfies my nicotine cravings.Recommend. Quite simply the best liquid i have tried on the Market.Great flavour,made in the UK and fast delivery.Have tried other liquids and nothing else comes close to this. Super fast shipment by Vapable, less than 3 hours after ordering. Delivered the next day, good job Royal Mail. E-Liquid taste great. Will use your services again. The best tobacco flavoured juice I have tried. I purchased the 12mg strength Virginia blend as part of a sterter kit. Unlike other brands of E-Liquid, this one does NOT leave a vile after taste in my mouth, in fact I really like it. Thank you Vapable. This is the very best Virginia I have found on trawling the sites on the net and tasted at lest 8 other suppliers. I started on 18 mg and I am now down to 6 still the great taste and feels just right. I have been a smoker for over 60 yrs and i have been won over by this excellent flavour liquid. 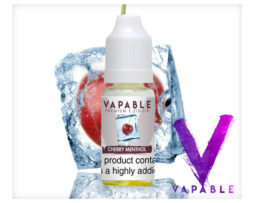 I would recommend this Virginia Blend Flavour E-Liquid from Vapable.com to any smoker wishing to stop. You really will be able to quit if you try this Virginia Blend flavour. Another top product by vapable very close to rolling tobacco and the right amount of throat hit. Since using vapable products in September 2013 i haven’t needed, wanted or thought about smoking a real cigarette.